The grind doesn’t stop for Jay Rock and Top Dawg Entertainment. 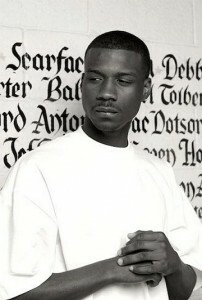 Shortly after his return to LA after the nonstop 45-day Independent Grind Tour, Jay Rock is putting together tracks for his upcoming Black Friday mixtape, set to be released November 26. In the meantime, Jay and TDE were generous enough to leak a track off Black Friday, entitled “Still In The Hood”, featuring Trae The Truth and production by Dem Jointz. Jay Rock spits verses of fury over the beat of frenetic synths that relentlessly answer the call of an eastern melody loop, hitting his consonants like a Mack truck and somehow maintaining his sense of urgency and insatiable hunger despite being on so many tracks as of late. A 50 Cent sample from his song “Fully Loaded Clip” repeats itself in the chorus to remind everyone that, despite Jay Rock’s recent success, some things will just never change. Tell Jay what you think about the track! Black Friday mixtape drops this November 26!